Fresh Stats to Help You Become the King of Email Marketing! According to CampaignMonitor every single dollar you spend on your email campaigns will bring you 38 dollars – far surpassing display, social and all other channels. 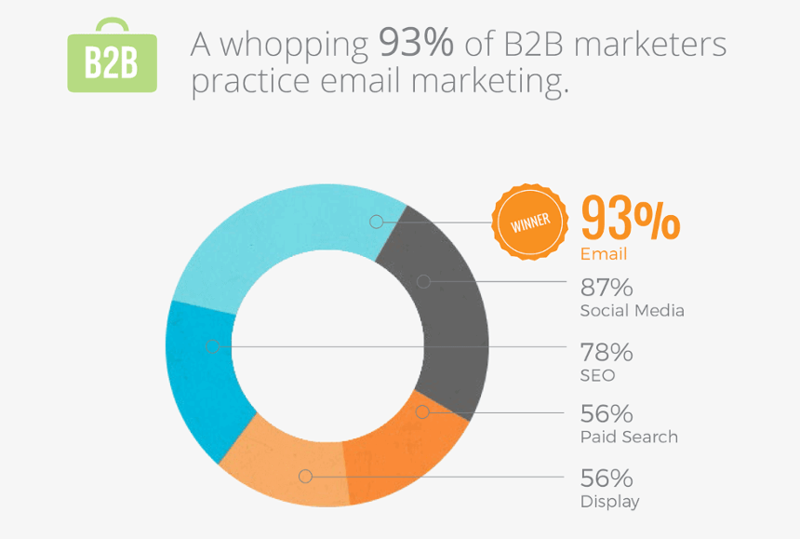 It is the simple most effective channel for B2B marketing – and in B2C it is also king as 72% of US adults prefer to communicate with companies via email. It may sound surprising, but email marketing is still not as widespread as the results would indicate. Mobile email marketing for example lags behind consumer adoption. While emailing is far the most popular activity on smartphones according to emailmonday (78% of users regularly does it), most companies have no mobile email strategy. 51% of them to be exact are completely missing such a strategy or only have the basic optimization in place. Personalization, which is more important than ever, is also not used by everyone surprisingly. 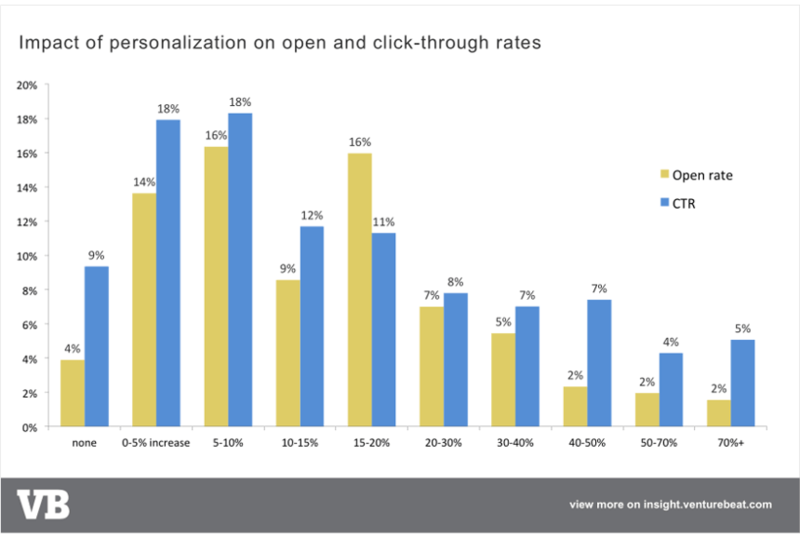 While it can increase your open rate by a whopping 41% a mere 35% of brands are actively personalizing their subject lines. This means that while you are late to be an early adopter, you can still keep ahead of your competition with a well-planned email strategy. When creating your emails – writing the copy and designing the templates in your email builder – you should remember that mobile is now dominant. As of November 2015 54% of all opens took place on mobile devices with desktop down to 22% and webmail to 29% (source: Litmus.com). Three in four Gmail users access their accounts through mobile. And email opens are growing fast – in the past three years their share increased by 180%. This leads to the conclusion that you should design your emails to appear perfectly on every device. The market is now so diverse that you simply cannot build static emails – they have to be responsive so everyone using desktop, tablets, phablets, smartphones or other devices can read them with ease. Designing such a campaign will require you to use the right tools. You should invest in a responsive email builder to create the base for your automated campaign – and statistics say that your investment will be a very profitable one if you do it right.